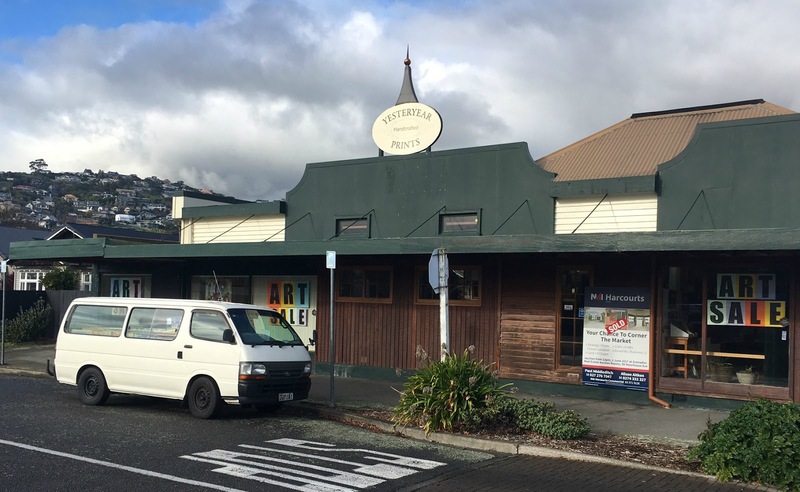 Christchurch picture framer and art print retailer Yesteryear Prints is to close its doors after 35 years. This suburban print gallery in Beckenham was very well known in Christchurch both for their unique collection of art prints from NZ and around the world as well as first class picture framing - often with a long waitlist. Yesteryear's longevity in the competitive world of art retail is a tribute to its current owners Norma and Graeme Elcock who steadily built the business over the 80s and 90s into a very successful store. The business is not being sold as a going concern, the stock is being put on sale and the distinctive building has sold. We understand their framer, Anton, is going to another framing shop in Ferrymead. Norma and Graeme had a very particular eye for older style (ok, I'll say it, "yesteryear") prints - classic Pears soap advertisements and Victoriana was a particular strength (they supplied us with many of these re-prints of old public notices in our letterpress posters collection). We don't have quite the same depth in these specialities but as NZ Fine Prints stock over 2500 different titles of art prints just a few minutes away from the Yesteryear Prints previous location we should be able to help you find the perfect print - please check out our catalogue online at Prints.co.nz. You can collect prints from us if you are in Christchurch or we deliver nationwide.